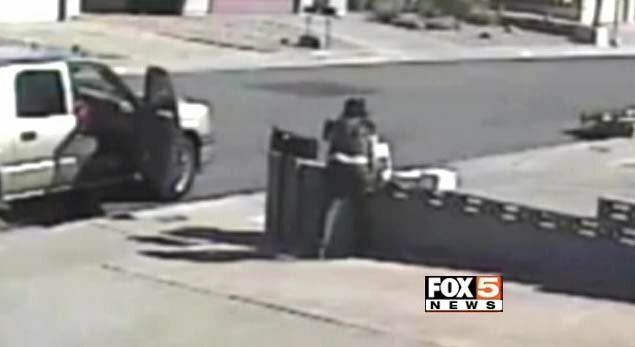 A Henderson homeowner caught a couple of thieves on camera, stealing thousands of dollars in merchandise from his front lawn. With the holidays approaching, it’s a reminder about how vulnerable your packages can be. In this case, the homeowner said the merchandise won’t be of any value to the crooks. “They grabbed the mail, they grabbed the boxes, and then they made a quick getaway,” homeowner Nathan Woodward said. Woodward said it took 30 seconds for the thieves to swipe roughly $9,000 in merchandise inside boxes and several paychecks from his mailbox. “I think they’re going to be very sad. It’s not Christmas gifts from Grandma. There are just worthless products that, unfortunately, are costing the banks, are costing the people that actually need them,” Woodward said. Woodward sells safe deposit locks to banks. Hundreds of the locks and other parts were packed into those boxes. Read more: 30-second, $9K-theft caught on surveillance camera – FOX5 Vegas – KVVU. John, it wasn’t a lazy mailman. The packages were being SENT by the customer, not RECEIVED. The customer left them by the box for pickup. That’s also why he will re issue checks that were taken from is mailbox. It was all OUTGOING mail. Watch the video again.